This article explains the cause and a solution to the CODESOFT problem that causes label data to be cut off after exceeding a certain length. User is attempting to populate a field on a label in CODESOFT, but the characters are cutting off before they have fully populated. Data may appear to be too long and runs off of the label. There are two possible reasons for this problem. The amount of text is too large to fit the text box. 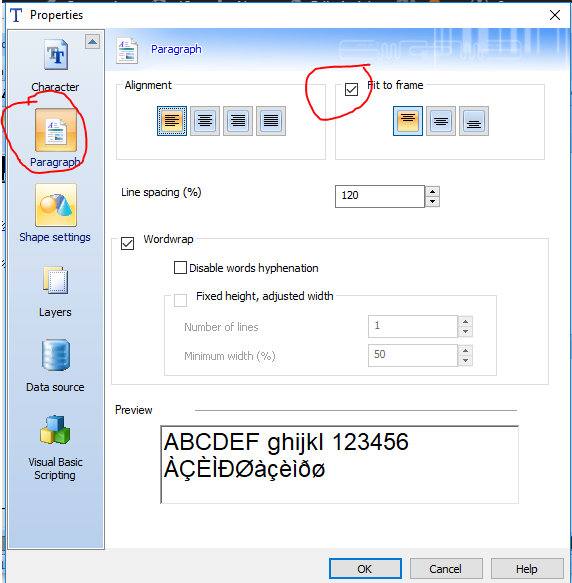 Some of the possible fixes are to expand the size of the text box, adjust the font size, or to utilize the ‘Fit to frame’ option in the text box properties. Each variable field in CODESOFT has a maximum character length dictated by the output setting set by the user. The user must change the maximum character length to allow for more data to display.